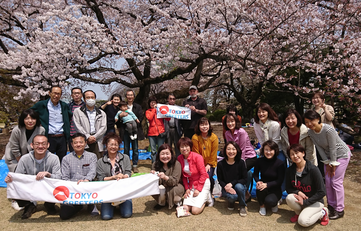 Tokyo Greeters had a cherry blossom viewing party at Shinjuku Gyoen on April 7th. Participants had a lunch after enjoying a game. Alba from Spain sent a message to TG office. 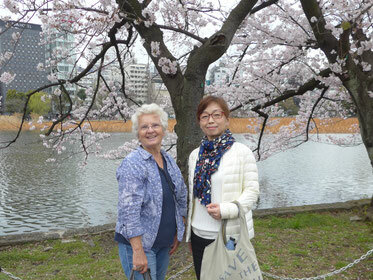 Her group had a tour with a greeter in Tokyo. Carmen from Spain sent a message to TG office. Her family had a tour with a greeter in Tokyo. Juan from Spain sent a message to TG office. 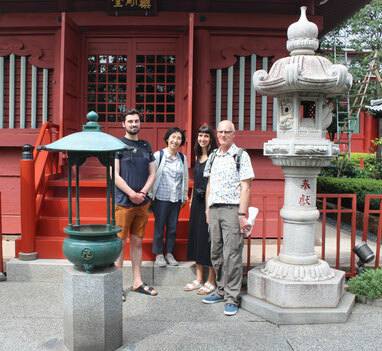 His group had a tour with a greeter in Tokyo. Thi from Australia sent a message to TG office. 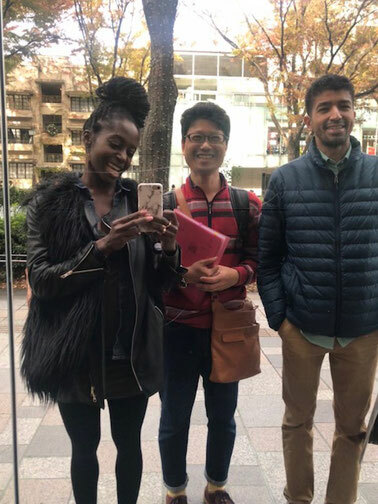 Her group had a tour with a greeter in Tokyo. Kylie from Australia sent a message to TG office. 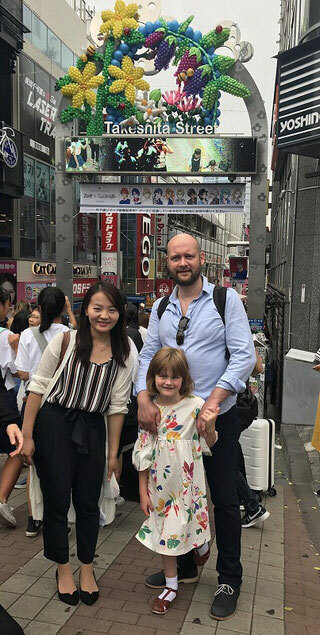 She and her family had a tour with a greeter in Tokyo. Kathy from Australia sent a message to TG office. 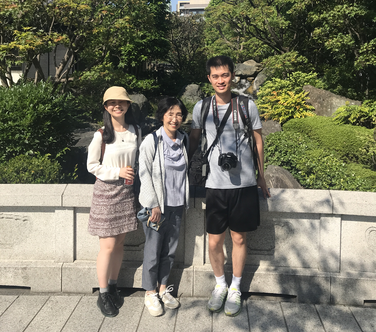 She and her family had a tour with a greeter in Tokyo. Tania from Canada sent a message to TG office. 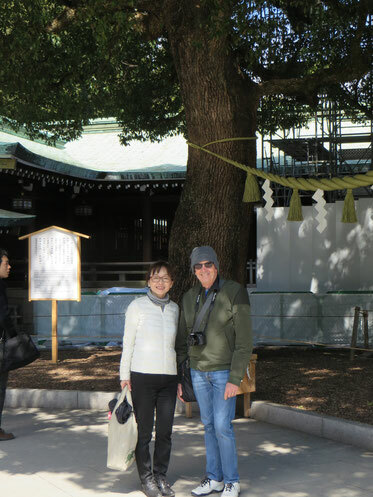 She had a tour with a greeter in Tokyo. Han from Argentina sent a message to TG office. She had a tour with a greeter in Tokyo. Lisa from Taiwan sent a message to TG office. She had a tour with a greeter in Tokyo. Reuve from Israel sent a message to TG office. 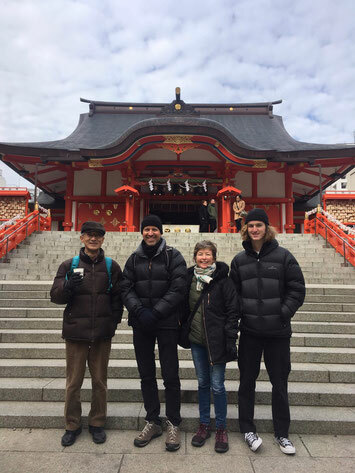 His family had a tour with a greeter in Tokyo. Kevin from Australia sent a message to TG office. He had a tour with a greeter in Tokyo. MARIA from Spain sent a message to TG office. Her group had a tour with a greeter in Tokyo. Gina from United States sent a message to TG office. 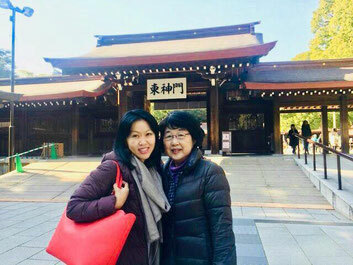 Her family had a tour with a greeter in Tokyo. Amelie from France sent a message to TG office. 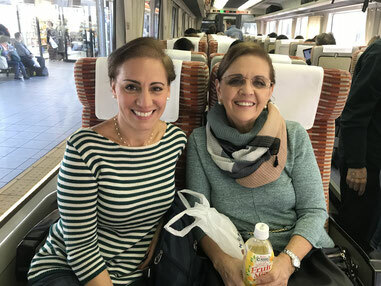 Her family had a tour with a greeter in Tokyo. Ana from United States sent a message to TG office. 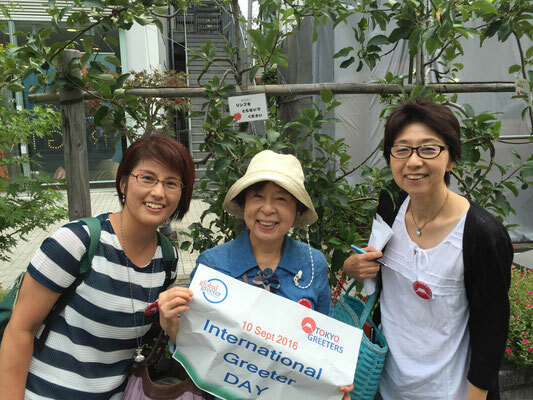 Her group had a tour with a greeter in Tokyo. Ahuva from Israel sent a message to TG office. 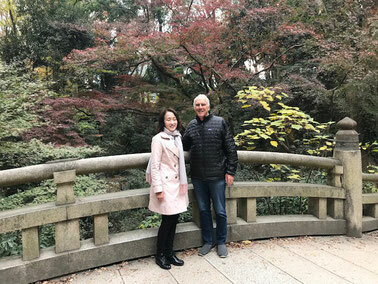 She had a tour with a greeter in Tokyo. Giuseppe from Italy sent a message to TG office. 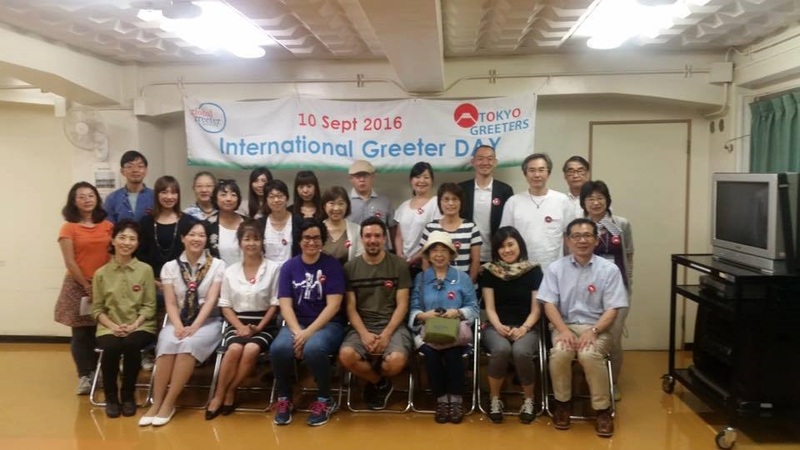 His group had a tour with a greeter in Tokyo. Marcelo from Argentina sent a message to TG office. His group had a tour with a greeter in Tokyo. Nadal from Switzerland sent a message to TG office. 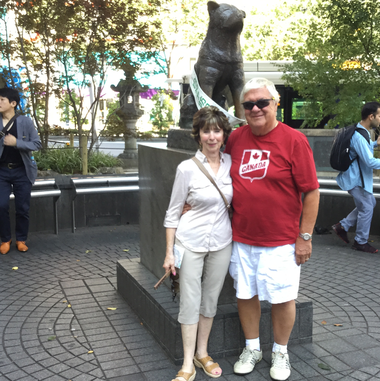 She had a tour with a greeter in Tokyo. Benoit from France sent a message to TG office. 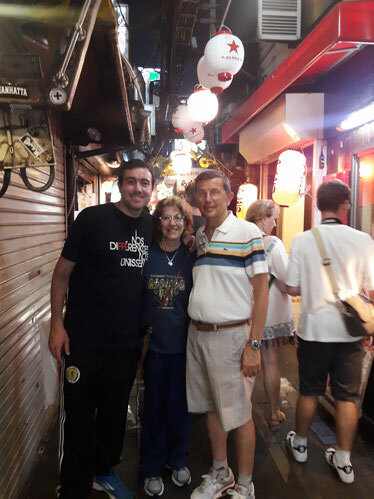 He and his family had a tour with a greeter in Tokyo. Kevan from Australia sent a message to TG office. 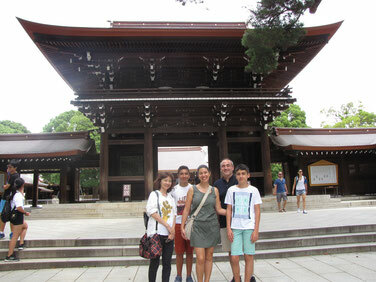 He and his family had a tour with a greeter in Tokyo. Mr. Laurent BOURDETTE from France sent a message to TG office. He and his family had a tour with a greeter in Tokyo.
" The service from TG was very efficient, we indicated our dates a few weeks before our arrival and actually we were put in touch with a greeter that allowed us to have a great day. Mr. Mário Francisco Santos from Portugal sent a message to TG office. 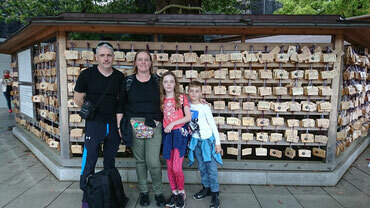 He and his family had a tour with a greeter in Tokyo. 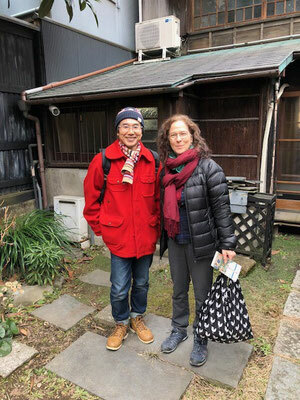 "Akemi Saegusa was undoubtedly a person who made us one day in Tokyo almost magical! 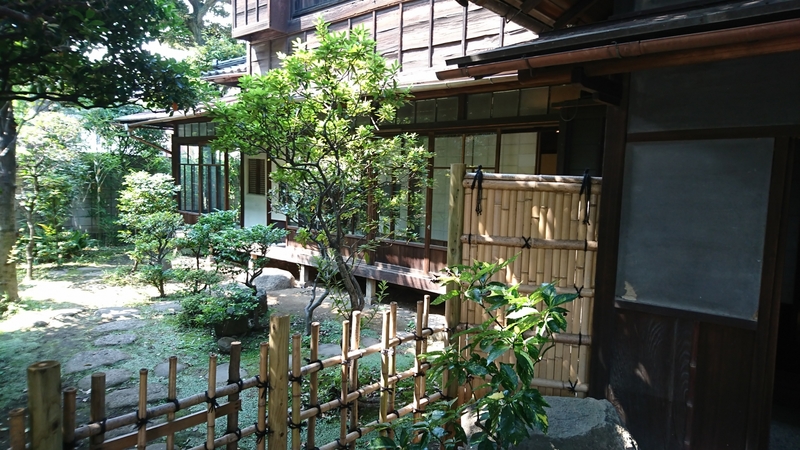 From the choice of places to visit to the explanation of Japanese culture, everything was spectacular! We were very grateful to her and to your organization that made it easier for us to stay in Japan that we loved and plan to return soon. 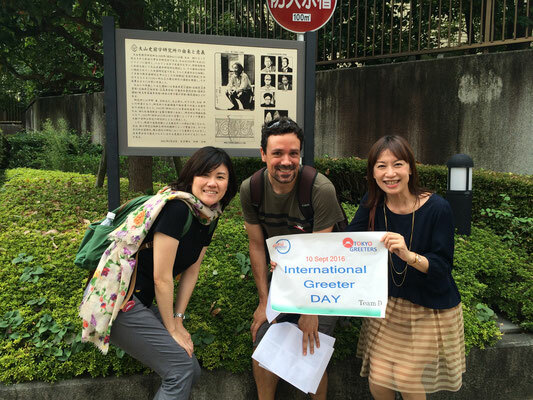 Today’s photo is from our greeter Kyoko. 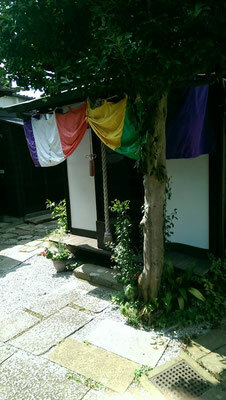 Today’s photo is from our greeter Ushio. Today’s photo is from Greeter Mr. Yamada. Mr. Alfonso Scirocco from Belgium sent a message to TG office. 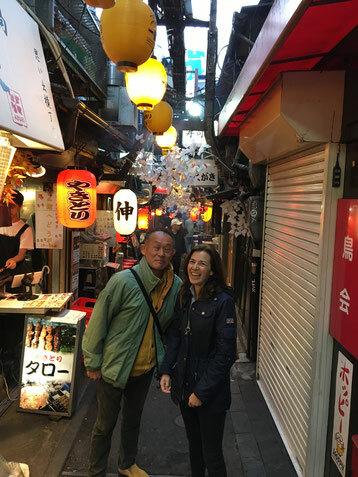 He and his family had a tour with a greeter in Tokyo. Mr. Reginald Elmer Pembleton from Canada sent a message to TG office. 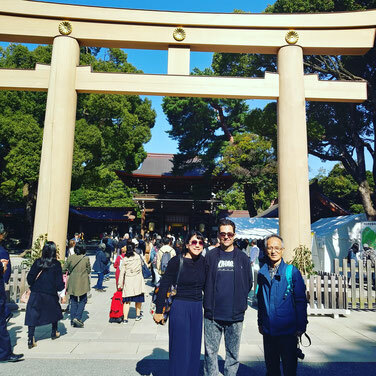 He and his family had a tour with a greeter in Tokyo. Ms. Mary Magellan Coghlan from Australia sent a message to TG office. 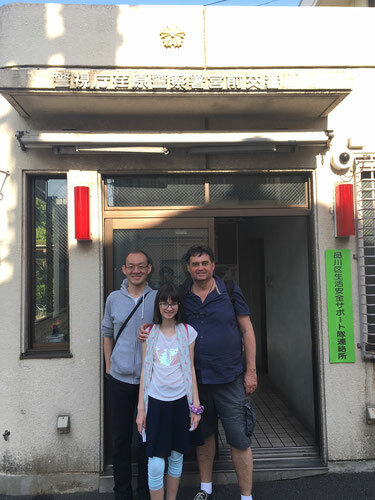 She and her family had a tour with a greeter in Tokyo. Ms. Carolyn Kaye Bragg from United States sent a message to TG office. 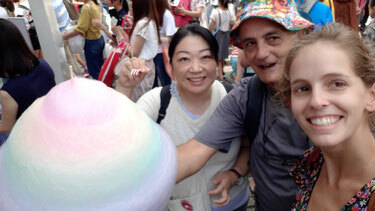 She and her family had a tour with a greeter in Tokyo. Ms. Janelle Bray from Australia sent a message to TG office. 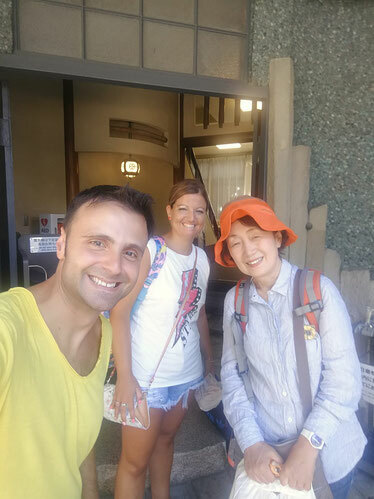 She had a tour with a greeter in Tokyo. Ms. Rosaleen M Stewart from Australia sent a message to TG office. 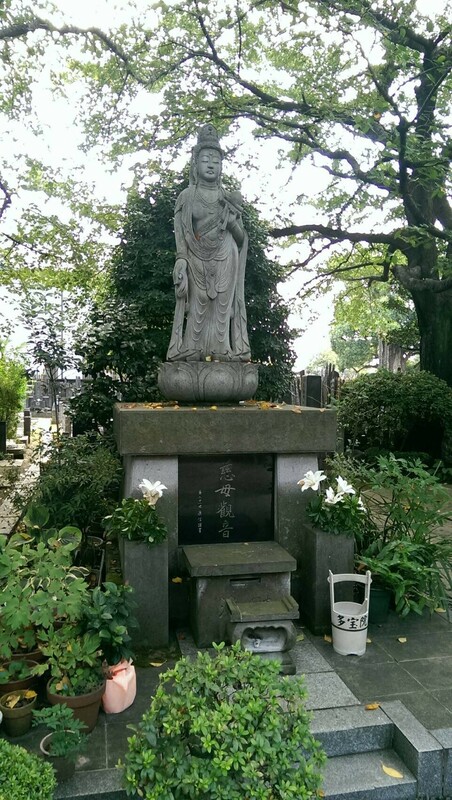 Her family had a tour with a greeter in Tokyo. Ms. Susana Aguilar Huerta from Mexico sent a message to TG office. 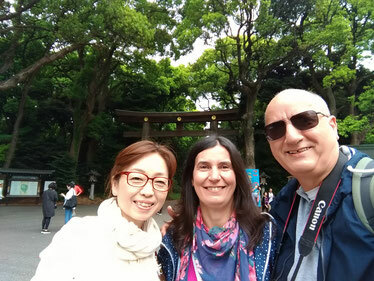 Her group had a tour with a greeter in Tokyo. 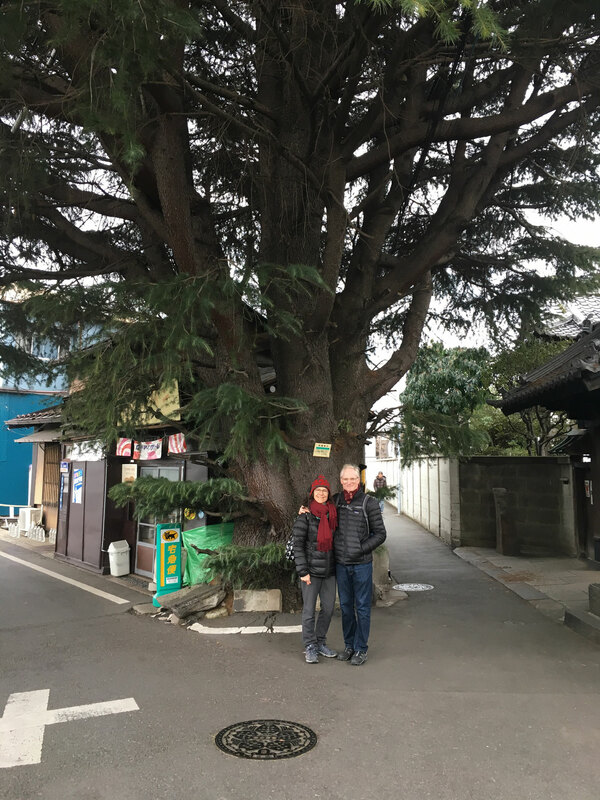 "We were in the middle of a typhoon, so we just walked a littler but an we enjoyed a cup of coffee and a dessert at Sisheido. Ms. Li He from Australia sent a message to TG office. 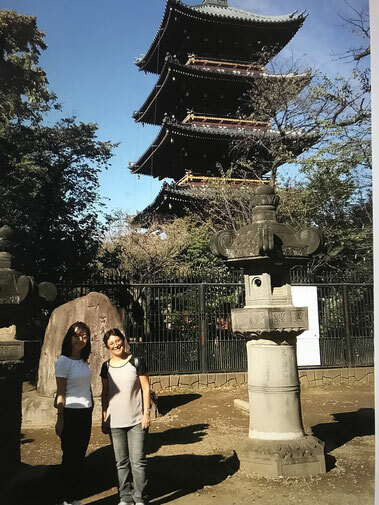 Her family had a tour with a greeter in Tokyo. 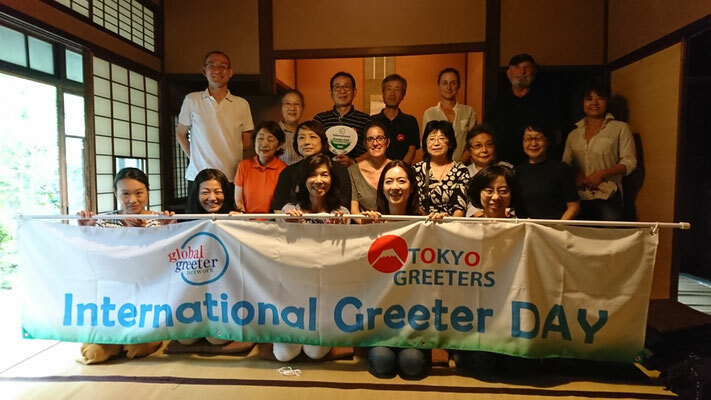 The International Greeters Day event was held in Yanaka, an old town area of Tokyo. Yanaka is still largely residential with narrow lanes, small houses, and unique art galleries, shops and restaurants. 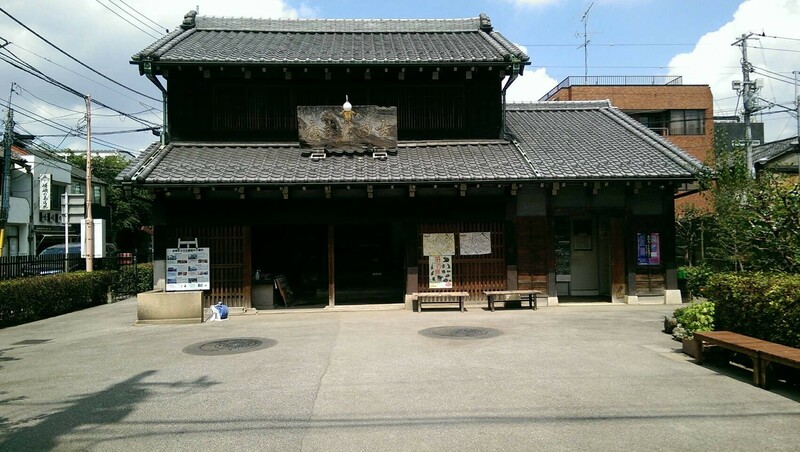 It has a genuine historical feeling and is famous for its large concentration of temples which have been in the area for over 400 years. 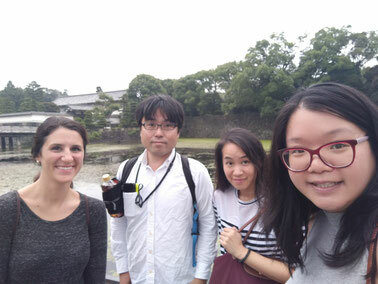 About 20 participants gathered in an old historical home, and after a brief introduction and group photo, set out in 2-4 member teams to locate various landmarks and hidden gems of architecture and local interest. Each team was given a handout with 66 photos and a time limit of 90 minutes to find them. Upon returning to the starting point, all the teams were eager to share their finds and talk about what they saw. It was a truly fun and memorable event which was enjoyed by all. 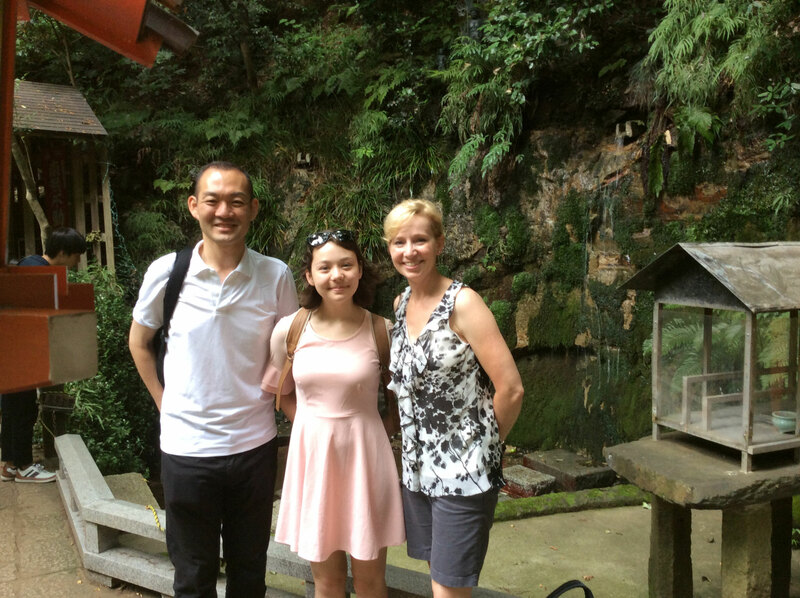 We had a wonderful time on Sunday 23th July with Fumihiro. 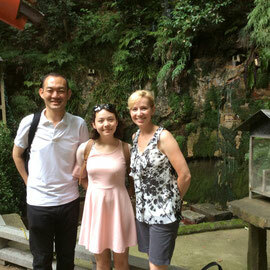 He did come with one of his student who was also really kind, specially with our daughter. 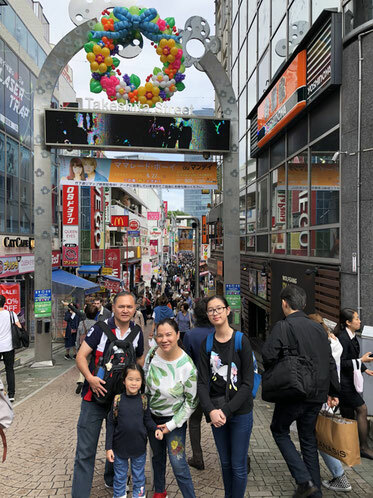 Fumi did bring us in a beautiful antique flea market as we wished and after that, to the funny Harajuku district for our daughter. It was fantastic and very friendly. 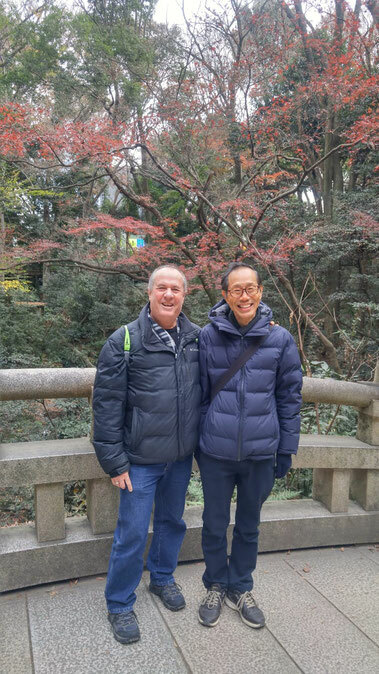 He did gave us a lot of helpful informations and we did finish our time together in a friendly restaurant for a nice chat. His English is really good and we didn't have any problem to communicate together. 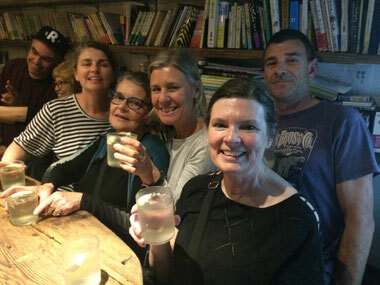 We did feel very welcome for our first day in Japan and Tokyo, it was like to spend time with dear friends. 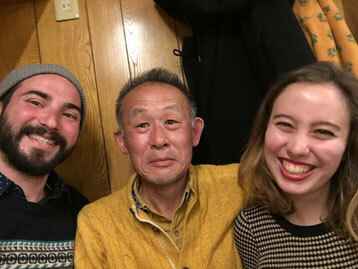 Thank you very much for this fantastic time with the greeter Fumi and his student! Ms. Karen Johnson from United States sent a message to TG office. 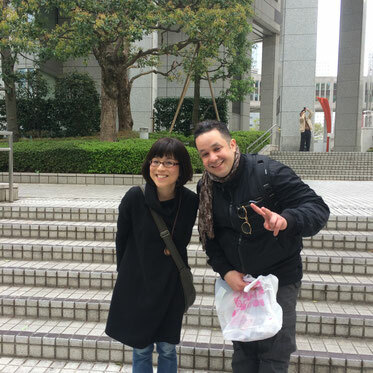 She had a tour with a greeter in Tokyo. 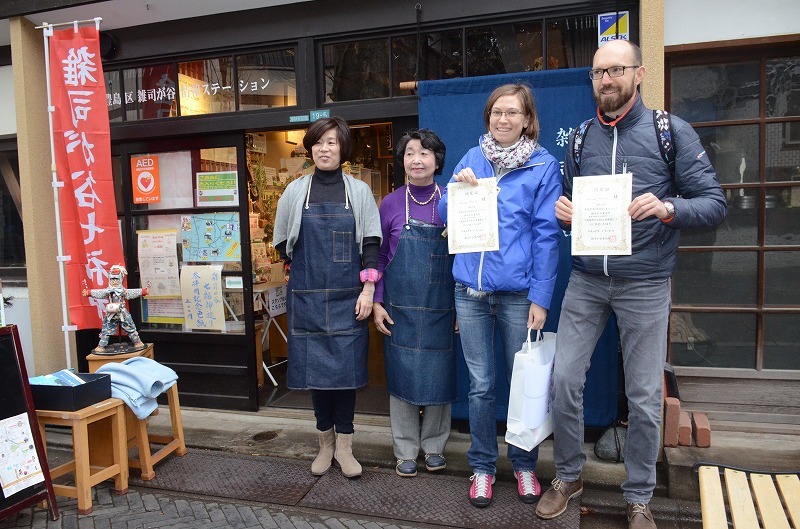 Kristina and Karsten from Switzerland visited a local town Zoshigaya and were honored to the 200,000 visitor of its tourist information office. The news was covered in a local paper. 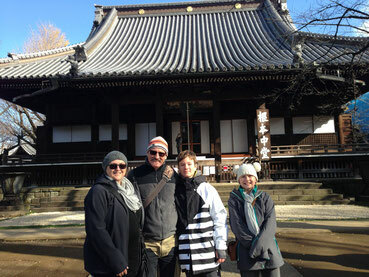 They really enjoyed the tour by Tokyo Greeters. 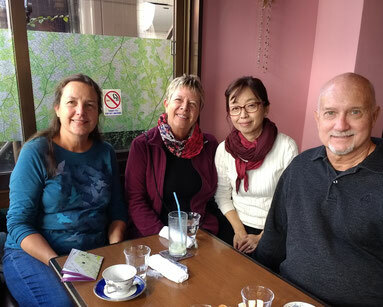 Ms. Marilyn Astle from Canada sent a message to TG office. 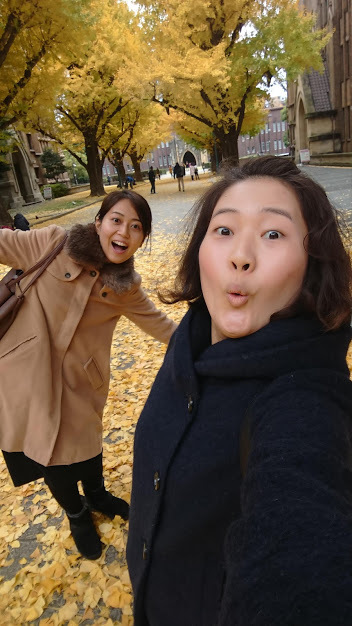 She had a tour with a greeter in Tokyo. Mr. Lotfi Tellab from France sent a message to TG office. 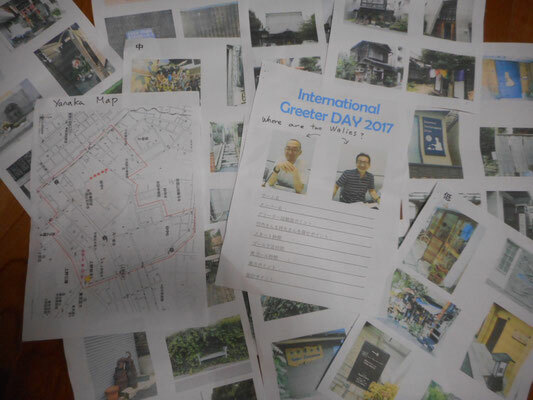 He had a tour with a greeter in Tokyo. Ms. Diane Lorraine Neumann who is a greeter in Brisbane Australia sent a message to TG office. 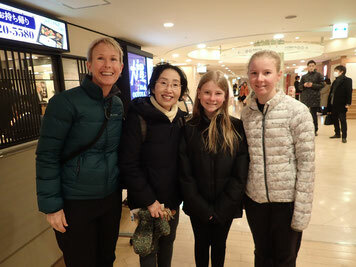 She and her family had a tour with a greeter in Tokyo. Ms. Catherine Lang from Australia sent a message to TG office. 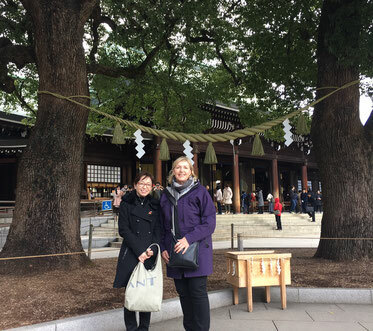 She had a tour with a greeter in Tokyo. Ms. Penelope Lennon from Australia sent a message and a photo. 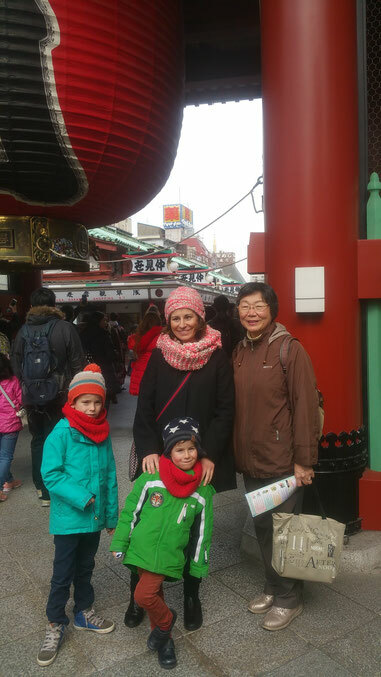 Her family had a tour with a member of Tokyo Greeters. 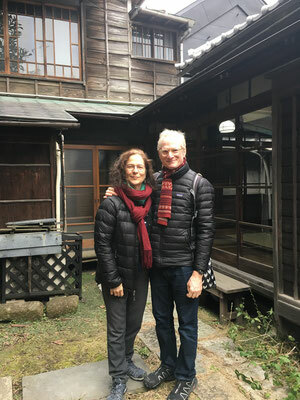 Mr.Matthias Claus and Ms.Daniela Plietsch sent a comment and a photo. 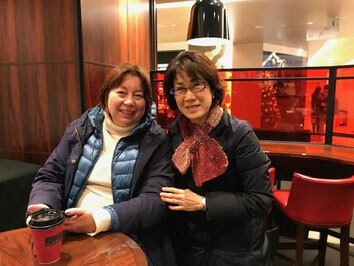 They spent time in Tokyo with Ms.Chie Akai Sugimoto a greeter of TG. Ms.Hannah Sardar from UK sent a message and a photo. 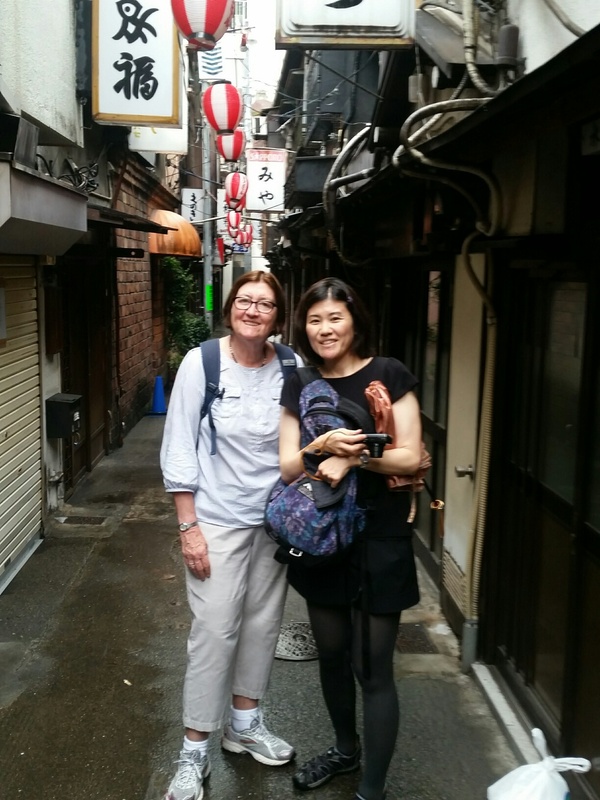 She had a tour with Ms. Masumi Sugiura a greeter of TG. TG received feedback from Mr. Bruce Edwards. 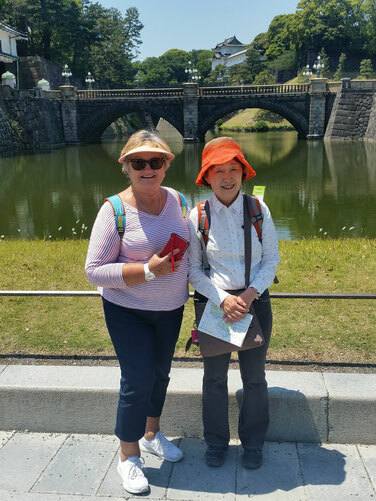 They had a tour with Ms. Haruko Yano a greeter of TG. 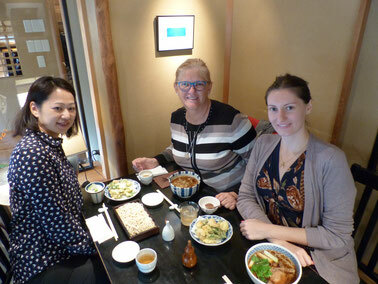 "Haruko was very informative and very friendly in her manner. 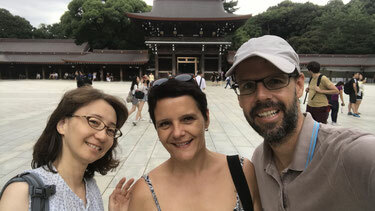 We loved the greet and are very keen to come back to Tokyo and Japan to see more of your wonderful country. 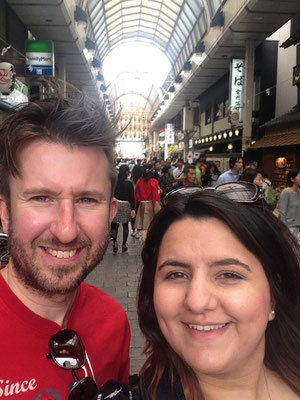 "We adored our journey in Tokyo, this city is fantastic! 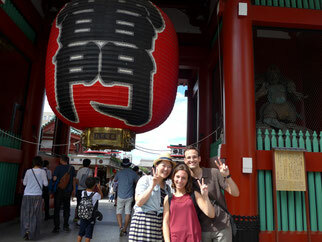 But the most unforgettable are the welcome, the kindness and the discretion of the Japanese! 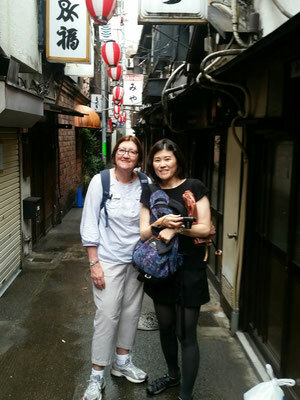 Thanks to Noriko, our journey was unique! very effective! Tokyo greeter found the greeter ideal! With perfect French! Thank you again!"